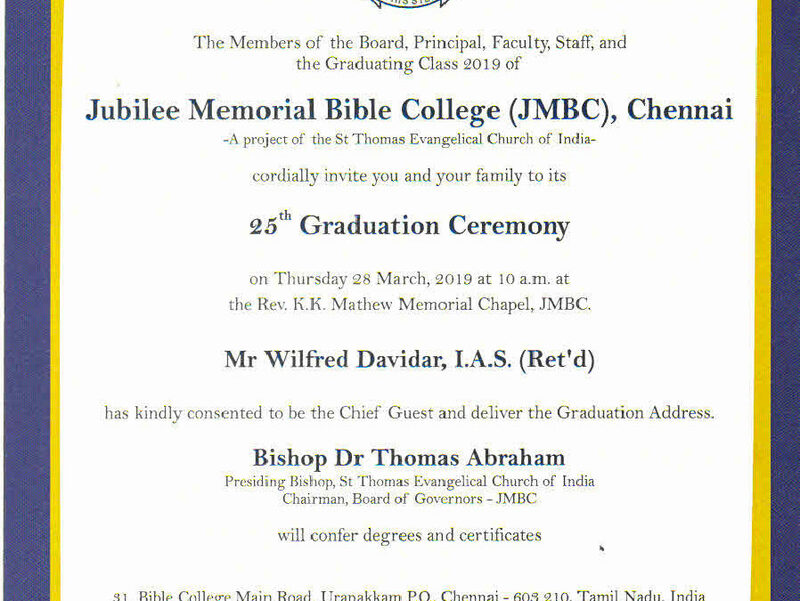 The 25th Graduation ceremony will be held on Thursday 25th March 2019 10:00 AM at the Rev. 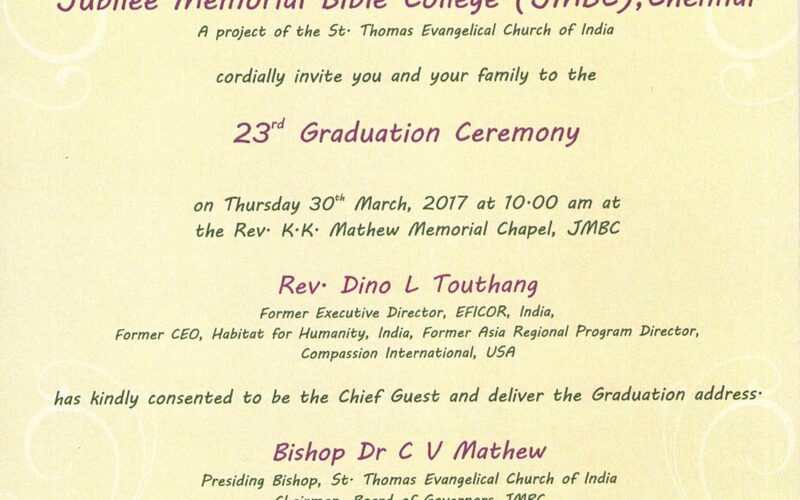 K.K. 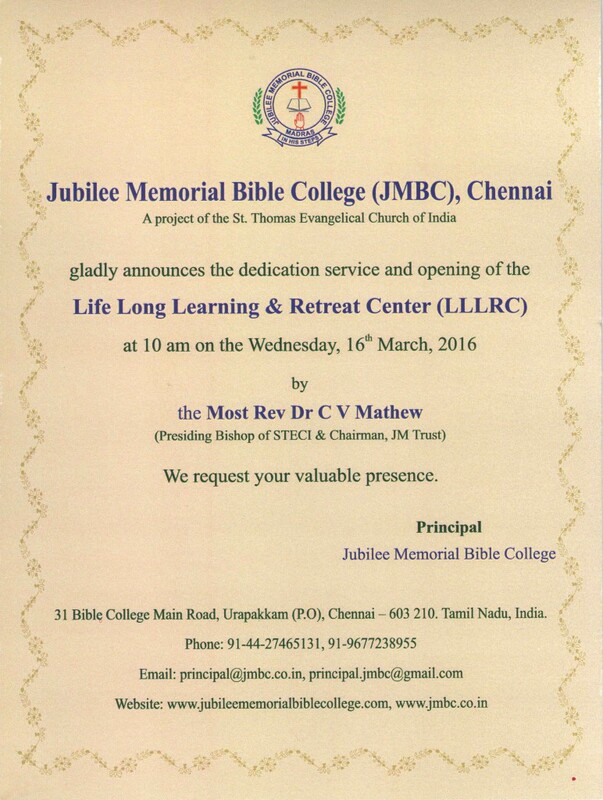 Mathew Chapel on JMBC campus. 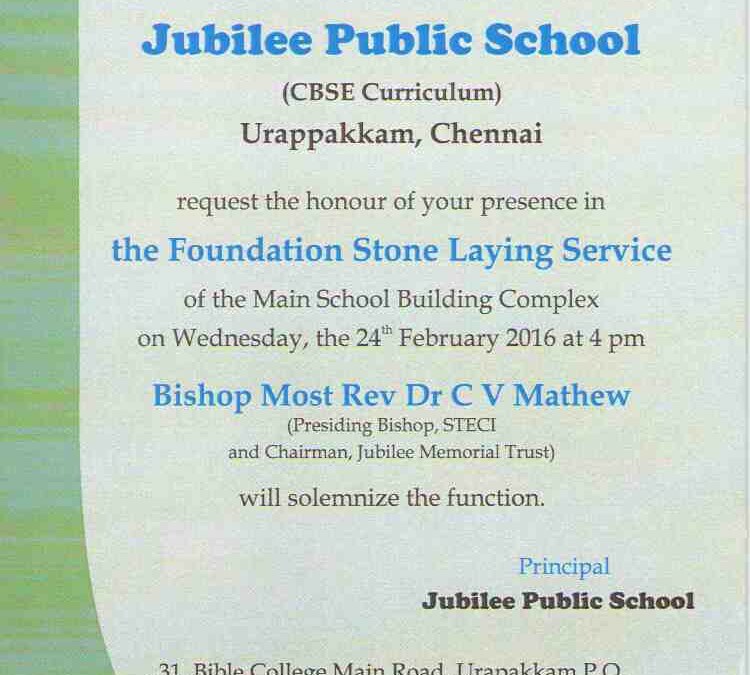 Chief Guest, Mr. Wilfred Davidar I.A.S (Retired) will address the graduates. 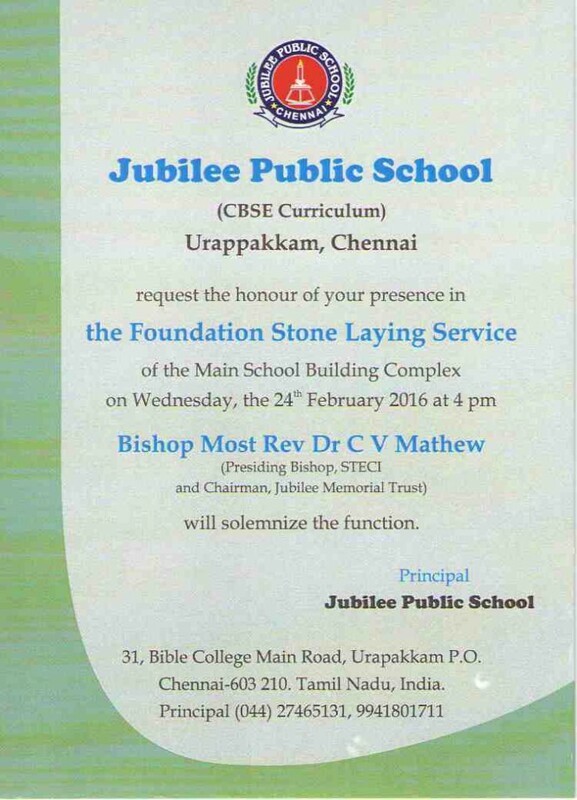 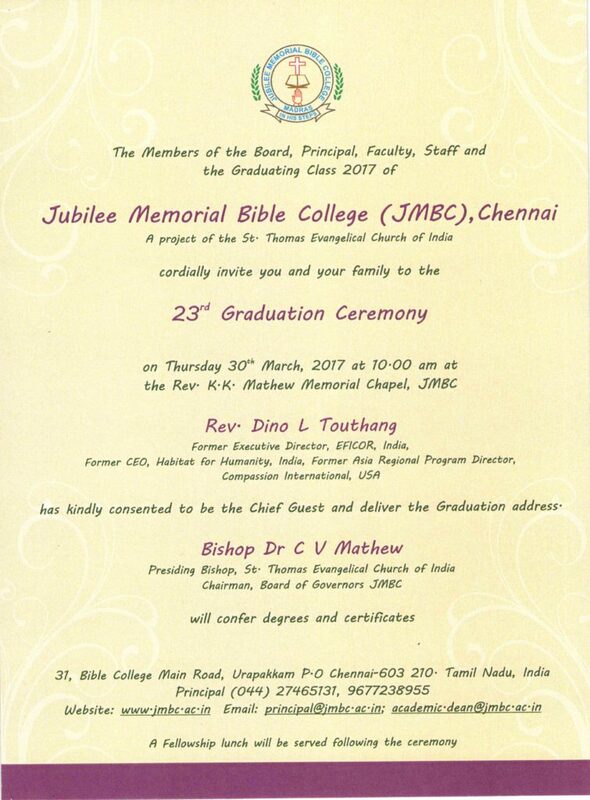 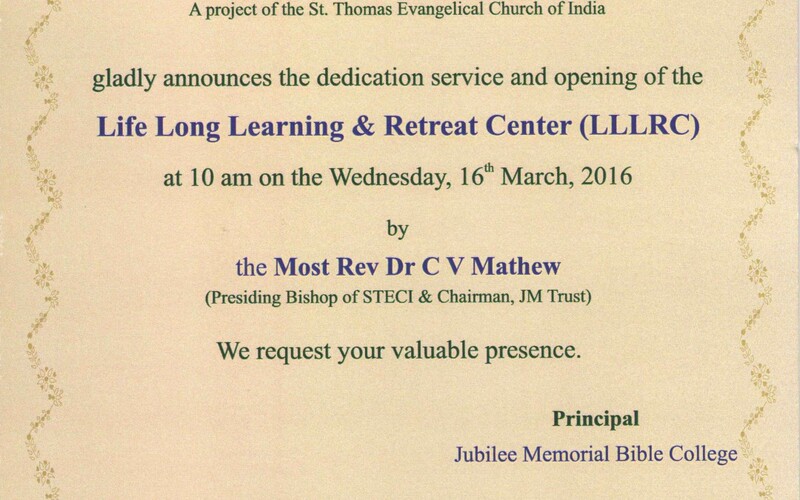 The St. Thomas Evangelical Church of India’s Presiding Bishop Dr. Thomas Abraham will confer degrees and certificates.